GEOM is another low-budget title on the Wii U eShop from a fresh studio — Andraconus — and brings to mind another relatively recent offering: RCMADIAX's Blok Drop U from earlier this year. Both are simple puzzle titles that don't really live up to expectations, but their price point being lower than the cost of a cup of coffee negates most of the complaints we have; regardless, it's impressive to see games like this on the eShop, in this case created entirely by one person. 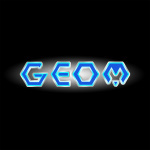 With that said, GEOM is not a great game. As with Blok Drop U, the pensive electronic soundtrack is one of its strong points, although there are only a handful of short songs that play on repeat. Everything is controlled using the touch screen with the exception of the pause button, and the same content is displayed on both the GamePad and TV at all times. The clean, minimalist title screen and menus full of geometric shapes are reminiscent of Geometry Wars, but the similarities end there. While Geometry Wars was full of glowing neon colours and spectacular explosions, GEOM's art design is relatively sparse and functional. It's about what you'd expect from a one-person game, but the minimal animation and total lack of sound effects aren't going to draw anyone in. A tiny "whoosh" or "click" sound when selecting items on a menu wouldn't seem like a major addition, but it goes a long way toward making a game feel like an engaging experience; it's a nagging absence here. GEOM consists of three modes, rigidly named Mode 1, Mode 2, and Mode 3; Mode 1 is the bulk of the experience, a jewel-swapping game in the vein of Bejeweled, where you must match three or more of the same geometric shapes to gain points within a time limit. Special shapes like moons and suns give you bonus points and you can string together as many tiles as you want for extra points as well, although the types of lines you can create are strangely limited — a horseshoe shape works, but an L-shape like you'd see in Tetris is not valid. Rather than simply swapping shapes in adjacent tiles, GEOM lets you swap any two titles on the board with each other; this perhaps makes it a bit too easy, as you can connect every single shape of a given type on the entire board without much hassle. There's no winning or losing – only your lust for the high score – and with hardly any gameplay depth you won't have much desire to come back to GEOM and top your previous results. You can choose between a two-minute, five-minute, or ten-minute session, but they're all exactly the same aside from the time limit. 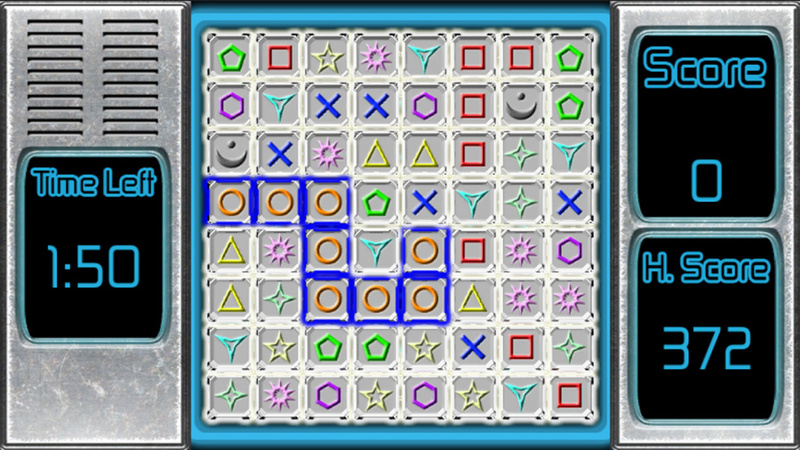 Mode 2 is a tile identification game, where a shape is displayed in the top left corner of the screen and you must tap the corresponding tiles on the board. Nothing else; there's no depth or variety aside from choosing how long you want your session to be. Perhaps this could have some appeal to very small children, but we're not sure it'll engage many other groups. 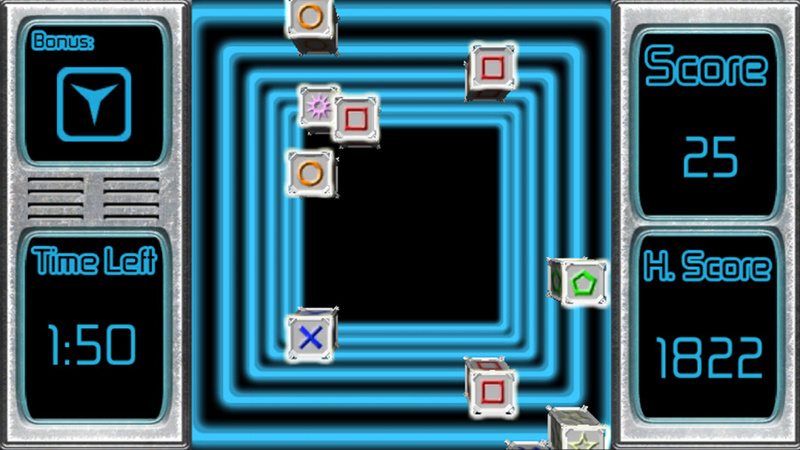 Mode 3 uses the same concept as Mode 2, but instead of tapping tiles on a stationary board you must tap them as they're flying across the screen. It has the opportunity to be slightly more engaging, but this already-easy experience is made even more simply by bright green hint outlines that glow around each tile you're meant to touch. Big-budget video games can sometimes seem like faceless products of giant corporations, but when it comes to indie titles there's much more personal accountability. A shoestring-budget one-person project is the height of this responsibility, and Andraconus takes that on directly by displaying the developer's real name right on the game's home page. 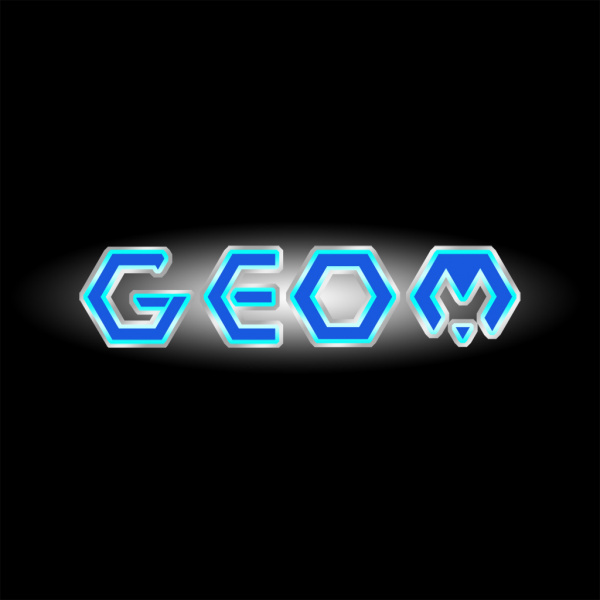 This début effort on the eShop doesn't quite live up to its potential, but for less than the price of a song on iTunes, GEOM provides a few minutes of entertainment; some may find it a worthwhile purchase just to support a small studio, even if the overall appeal is limited. Hard pill to swallow. As much as I would love to support Indie developers, if the game isn't up to scratch, most people won't budge, unless they have some extra e-shop credit laying round. Thanks for the honest review. I still think this is a little better myself; it's a good deal for a puzzle fan with a dollar to spare. It certainly isn't a Gunman Clive, but the different modes are fun enough to provide some entertainment. Unfortunately, it would probably fare better on 3DS for quick pick up play. Regardless, informative review. I'll check this game out if it hits Europe. Honestly, I'm pretty jaded with the idea of buying a game just to support the developer. Maybe harsh to say about a one dollar game, but they have to be worth my time as well. To me it all depends on value. Considering you can get a game like Gunman Clive for a dollar more, that's kinda a big deal. Gunman Clive has set a quality standard of sorts showing you how much bang you can potentially get for your buck. There are a lot of people on Miiverse saying to buy this or that to support indies. They talked me into getting Chubbins, which I actually find a bit generic and unbalanced. Yeah, I didn't mind Block Drop U- I think I got it for .99 too. I've only put about 30 minutes into it, but figure that by the end of the year I'll have an hour or two. As mentioned above tho, I thought Gunman Clive was great value, and I enjoyed Edge a lot for 1.99.